In 2018 Brad was given the famous number ten shirt, worn by club legends Barrie McDermott and Jamie Peacock. He had been in top form the previous season, winning his second Super League title and making his debut for Ireland in the World Cup in Australia. Brad is originally from Barrow and signed for the Rhinos in 2009 and in his first year impressed as part of the Rhinos Academy. He signed a new four-year contract at the club ahead of the 2016 season after helping the Rhinos achieve the treble. He is a strong tackler whose game is based on making metres, making big tackles and having lots of carries. He signed for the Rhinos in 2009 and was seen as a player with the capability of making it through to the senior ranks at an early stage whilst playing in the Rhinos Foundation Academy. He made his debut against Salford City Reds and his efforts in his debut season were rewarded when he was named captain of the England Academy squad and the England Schools Under-16 side that defeated France, scoring a try in the 50-28 win. 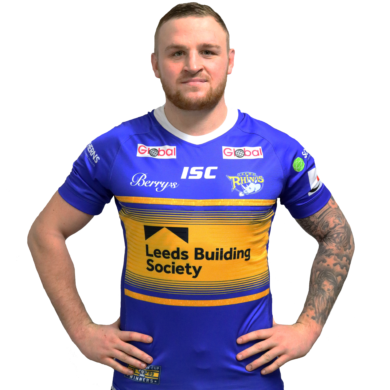 The following year he made one first team appearance for the Rhinos and joined Dewsbury Rams on a dual registration during the season where he gained valuable first team experience. As well as this he also represented the Under-20s on 12 occasions and appeared in their Grand Final game against Warrington Wolves. He played part of the 2013 season on dual registration at Hunslet but made the most of his opportunity when the Rhinos first team were hit with injuries and his extended run of games allowed him to make an impact on the team and he was nominated for the Shooting Star Young Player of the Year award. His form earned him selection for the England Knights squad at the end of the 2013 season and came on from the bench in their friendly against Samoa. He played a regular first team role during the 2014 season, making 24 appearances and enjoyed one of his best seasons at the club in 2015 as part of the treble winning side, that saw him score a try in the Challenge Cup win over Hull KR. A former Barrow Island, he player has also represented Cumbria at 15 and 16’s age group level. He has played for the England Academy and the England Schools U16 side that defeated France, scoring a try in the 50-28 win. 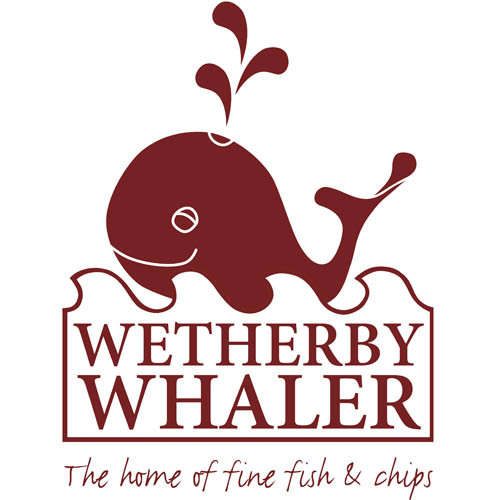 The Wetherby Whaler is a family owned chain of fish and chip restaurants and takeaways. The business was founded by Phillip and Janine Murphy in Tadcaster in 1969. Originally a traditional fish and chip takeaway serving the local community, it was here that we learnt our trade and developed our skills and knowledge that enabled us to prosper. It was this original experience that enabled us to focus on two guided principles that developed to become the foundation for the ‘whaler experience’. These principles are always using quality haddock without skin and bone, cooked in the crispiest batter with Maris Piper potatoes, and warm friendly service with a smile.